We have tested LEGO Pirates of the Caribbean - 360 (Region Free) (Preorder) , MX vs ATV: Alive - 360 (Region Free) (Preorder) and Brink [includes bonus 3 patches] - 360 (Preorder) on our PAL XBOX 360 console to confirm whether or not these titles are region free. The good news first! 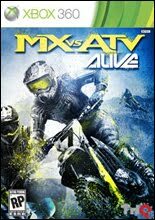 Lego Pirates of the Caribbean and MX vs ATV Alive ARE REGION FREE but sadly Brink is NOT region free. NEXT REGION FREE TEST THIS MONDAY ON VIRTUA TENNIS 4! !